Marvin Heyd, South Carolina REALTOR® (SCR) member and Realtor® at Berkshire Hathaway HomeServices Myrtle Beach, received the association’s Distinguished Service Award. The award was presented at SCR’s 2017 annual conference and expo at the Hyatt Regency in Greenville, September 1, 2017. The Distinguished Service Award recognizes Realtor® members and executive officers who go above and beyond in exemplary and outstanding service. SCR’s Awards committee chooses the individual to be recognized for their outstanding and ongoing voluntary commitments to the association. Marvin Heyd has been a Realtor® member for more than 34 years. 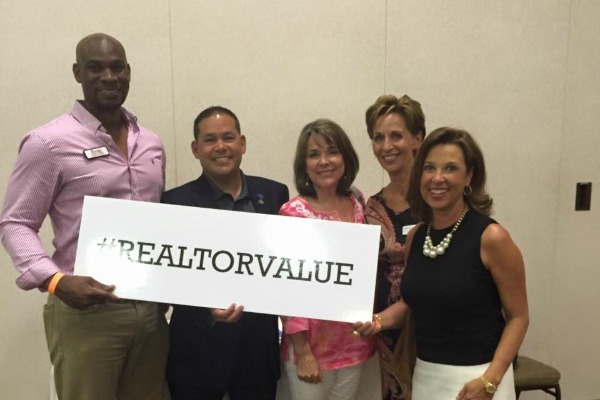 Throughout that time he has served on numerous local and state Realtor® association committees. He is a past president of the Coastal Carolinas Association of REALTORS®, a GRI graduate, and a regular at legislative meetings. He was also SCR’s annual conference chair in 2010. Heyd has been a regional director of the United Way, a member of the Horry County Council, past member of the Horry County Planning Commission and has served on the Habitat for Humanity Board of Directors. “Marvin is a Realtor® leader we can all count on to raise the bar of professionalism in our industry,” said SCR 2017 President and Broker in Charge of Silver Star Real Estate, David Phillips.